Recently, Digital Extremes hosted the 126th Warframe devstream. They covered several topics, and had a few highlights, including the game’s 40th Warframe — Wisp, a new Garuda Skin, and a deadly looking fan-style weapon. 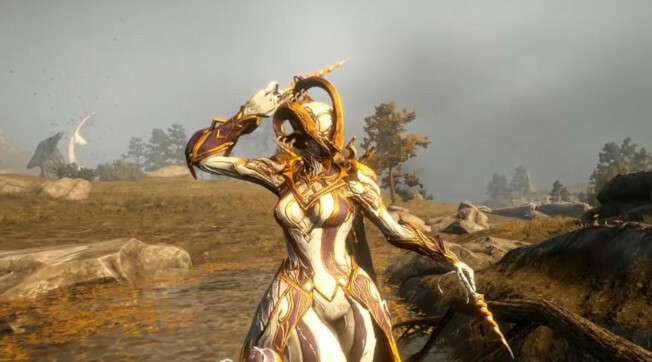 As is generally the case, the biggest deal here is the new Warframe and players got a first look at her kit on the stream — including a passive ability that allows her to go invisible when she’s in the air. For fans of cinematic quests, Wisp may be a bit of a disappointment as she won’t come with one. But there is a good reason as the devs explain that creating these lore-based cinematic quests can often delay the release of a new Warframe. In this case they opted to not wait. As for the new skin and weapons, these are detailed in full on the Warframe site — along with more information on the new Warframe’s stats. If you missed the full dev stream and would like to catch up on it, you can check out the video below…just set aside about an hour of your time.